Over the past few weeks I have covered a number of very good credit card deals. Of course as many of you know, I don’t just cover the great deals, but I also participate. In previous posts I covered how my wife and then I both were able to get two American Express cards in the same day. That is great because American Express generally combines credit inquiries from the same day. Today I thought it would be a good time to look back at our entire haul and look back at the strategy that got us there. In total, my wife and I applied for 5 cards and were approved for all 5. This is a far cry from a Grand Slam app-o-rama, but that is alright for us. We are now focusing on great offers and try not to pick up cards which are not part of our greater plan. 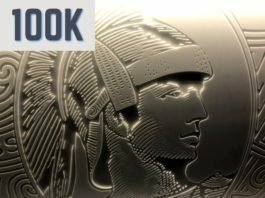 Amex SPG Personal 30K – I was instantly approved for this card and will receive the bonus after $3K in spend. Amex SPG Business 30K – My wife was instantly approved and will receive the bonus after $5K in spend. Amex Business Gold 75K – My wife was instantly approved and will receive the bonus after $5K in spend. 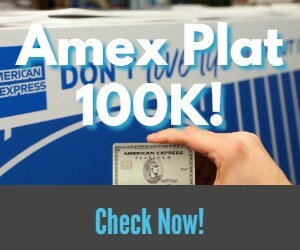 Amex Platinum 100K – I was approved automatically the morning after I applied. I will receive the bonus after $3K in spend. Citi ThankYou Premier 60K – My wife’s application went to pending. This has happened with all of our Citi applications over the past two years. She waited about five days and no approval came so she called in. She was told they could approve her for only $2K, however she was able to move over credit from another card for a higher credit limit. (It is a good idea to have a higher limit for future retention offers.) She will receive the bonus after $3.5K spend. What do all of those offers have in common? They are at or close to being the highest bonuses ever on those cards. For cards like the ThankYou Premier, Amex Platinum and SPG Personal, it is important to maximize your bonus. With the personal Amex cards you can only get the bonus once and it takes 18 months at the least to get a bonus on the Citi card again. In the past couple of weeks I have spoken to a number of people who missed out on one or more of these offers because they had too many recent applications. While some of these people had great strategies, others were just applying for whatever they could. In other words, make sure that an application for a throwaway card doesn’t keep you from getting a truly great bonus. All three of these points currencies are relatively valuable. As a ballpark, I would say these bonuses have the potential to be worth close to $5,000. Even at $.01 per point (which significantly undervalues these currencies), the bonuses would be worth $2,950. That is a pretty amazing haul from 5 cards and only 3 inquiries. Also, four of those cards are Amex, so with AUs, we picked up many new Amex Offer opportunities, Amex Checkout credits and will have fun on Small Business Saturday. I know I have been sort of advocating the slow approach lately and perhaps that isn’t everyone’s favorite. Every person has different goals and credit history, so there is no one right answer. The truth is using caution and a slow & steady approach does pay off. In this case it was $3-$5K worth of bonuses from only 3 credit inquiries. It doesn’t get better than that! I read your post DAILY ! Your site is the BEST! It is a good idea to have a higher limit for future retention offers ===> With lower credit limit, do you feel the retention bonus are no good ? No, but with Citi sometimes the retention offers are generous and it is better to have a higher limit to take advantage. I don’t believe the retention offers are based on the credit limit. Shawn, do you think I can get the 100k bonus (or any bonus at all) if I’ve already had the Platinum card but never got the bonus when I originally signed up? I canceled my card earlier this year (had it since 1997), and I know that when I first got the card back in the day, I had no idea there even WAS a signup bonus available. What’s Amex’s policy on that? I know the amex limit pp is 4 cards, but is that 4 personal + 4 business for a total of 8? How does the limit work? Thanks! As of right now, I have 4 personal cards and 3 business cards, so that limit must be on the personal side only. Can’t imagine them restricting business cards. The limit applies to credit cards only. As far as I know, you can have a maximum of 4 credit cards (business and personal combined) and an unlimited amount of charge cards. I’m surprised in the face of all the evidence anyone still thinks there’s benefit in app-o-ramas. I’ve been in the game short of 18 months, and my application strategy has been pretty much the same cherrypicking you’re talking about. I wound up with 247,000 miles/points and 140 point climb in my FICO in the first 12 months. Outside of actual travel spending, it’s been 95% manufactured. Tortoise and hare, and anyway, my personal travel aspirations don’t include burning miles at anything like 250,000 a year. No reason not to lay low for the next year and a half or so, waiting for big BA bonuses, that 150,000 mile Platinum Amex. My biggest regret was choosing the CSP even after the nice man from Chase urged me so strongly when I was just starting out last year to get the Ink Plus. Chase was still happy to give them out back then and I was too ignorant to grasp the long-range benefit of 5X at office supply stores. I got the CSP instead.